Our top of the line beverage can holder. Vinyl dipped so that the are completely coated, shiny, and hand washable. 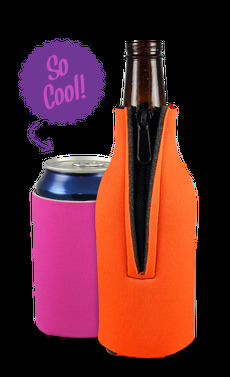 This can coolie is a great way to show off your company logo, or organizations design. Vinyl dipped coolie is available in red, orange, yellow, white, royal blue, black, purple, green, lime green and teal. Price includes one color one side imprint.